The currency of the second biggest economy is believed to be gaining strength, taking into account two factors, one of which is the productive Trump- Xi meeting on the side-lines of the Buenos Aires-hosted G20. “The two key events of roughly the last week have been the painkiller dose offered by [Federal Reserve chair Jay Powell] and the soothing market effects of the so-called US-China truce”, the Financial Times cited the high-profile analyst as saying. The continental renminbi, which trades on the second biggest economy’s domestic market, has risen by 1.8 percent in price during the first two days of the week, Refinitiv data suggested. The development signals the most prominent gain since summer 2005, when China stripped its currency of domestic limitations and placed it into a more flexible, but volatile, foreign exchange domain. 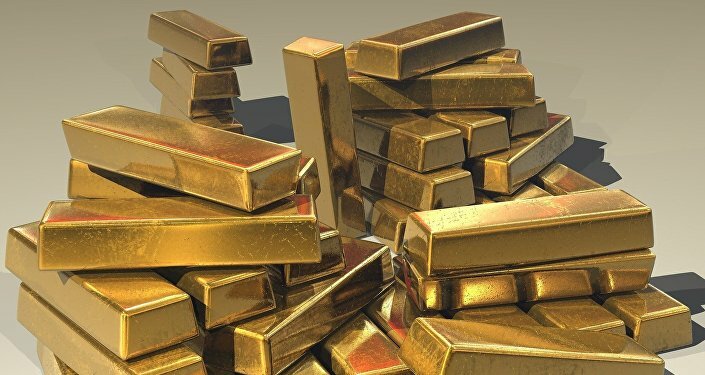 'Dollar Depreciation': Will Gold Replace Greenback as Global Reserve Currency? The dollar has gone through a number of dips recently as an increasing number of countries, namely Russia, China and Turkey, have voiced calls to shift more decisively to national currencies in global trade, and even clinched deals to this end, in retaliation to the US’ across-the-board tariff plan. Meanwhile, Washington has already engaged in talks with Beijing amid a détente in the trade conflict, President Trump wrote on Twitter. Per the president's post, a delegation of US officials will hold negotiations with the Chinese side. He noted that the talks would be finalized within 90 days after his meeting with President Xi Jinping at the G20 forum. Most particularly, one of the results of the G20 is that US President Donald Trump backtracked on plans of raising tariffs on $200 billion worth of Chinese products from 10 percent to 25 percent starting from January 1, 2019, stressing the necessity of talks with Beijing and threatening to persist with his plans if they don’t move any further. In late March, Washington imposed 25 percent tariffs on steel imports and 10 percent on aluminium imports, initially exempting an array of countries from the new regulation. However, since 1 June, the decision has been in effect with regard to all the states, including the US’ long-standing allies Canada and the European Union. Around the same time, Donald Trump announced slapping 25 percent tariffs on $50 billion worth of imported Chinese goods, and Beijing responded in kind, boycotting purchases of US agricultural produce, among others. US soybean deliveries to China, for instance, have decreased by 98 percent this year, according to Yahoo Finance. In September, Washington went still further and announced 10 percent import duties on $200 billion worth of Chinese goods. Trump Declares Temporary Truce in US-China Trade War: What’s Next? Will China and US Succeed in Taking Advantage of the Trade Truce?